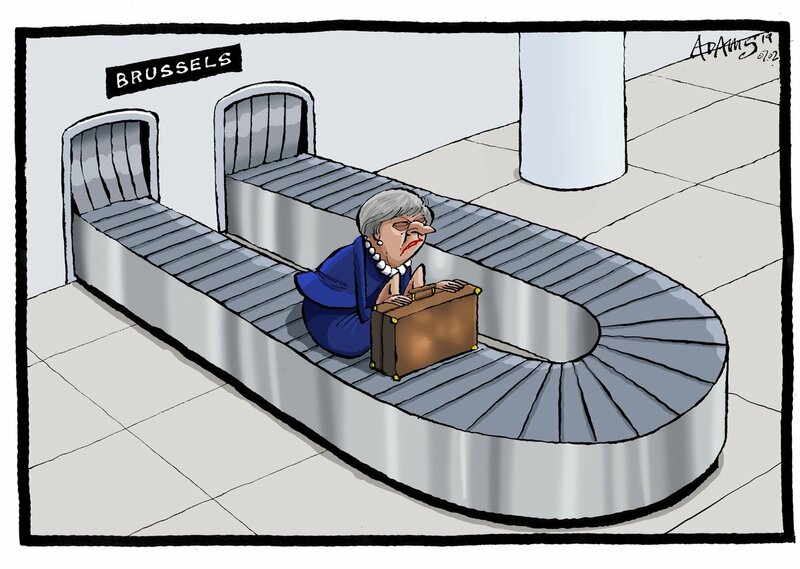 Adam Osborne weighs in on British Prime Minister Theresa May’s visit to Brussels, as she walks out with little concessions from the European Union. 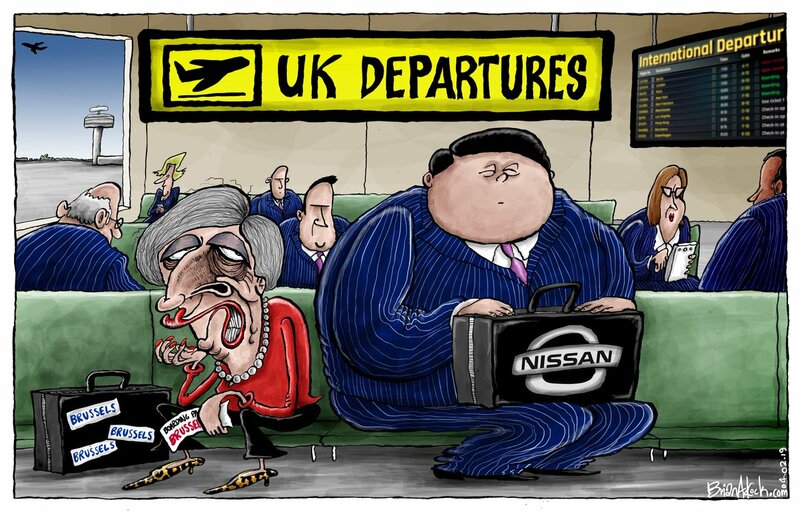 Brian Adcock on the UK’s economic woes, with Japanese automobile giant Nissan announcing that it is moving the manufacturing of the X-Trail SUV out of the U.K. amid May’s talks with the EU over a Brexit deal. 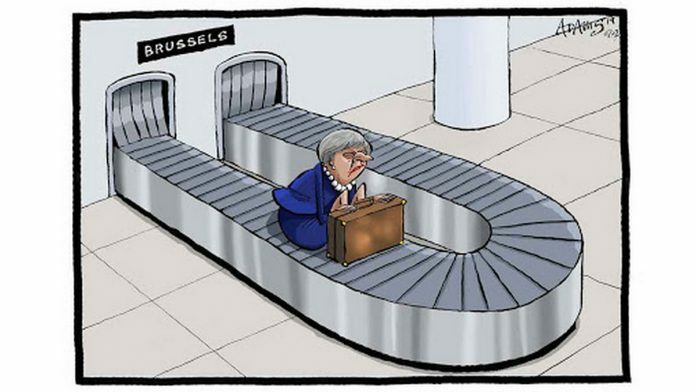 Former Polish Prime Minister and European Council President Donald Tusk has urged British Prime Minister Theresa May to consider Labour Party leader Jeremy Corbyns’ permanent custom union plan to ensure his support in the Brexit crisis. 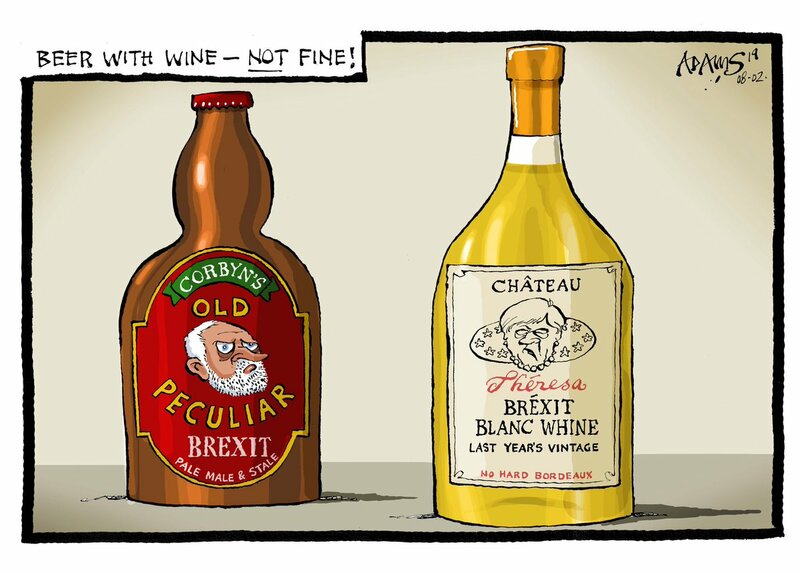 Cartoonist asserts May and Corbyn’s partnership might turn out to be an idea as bad as blending wine with beer. 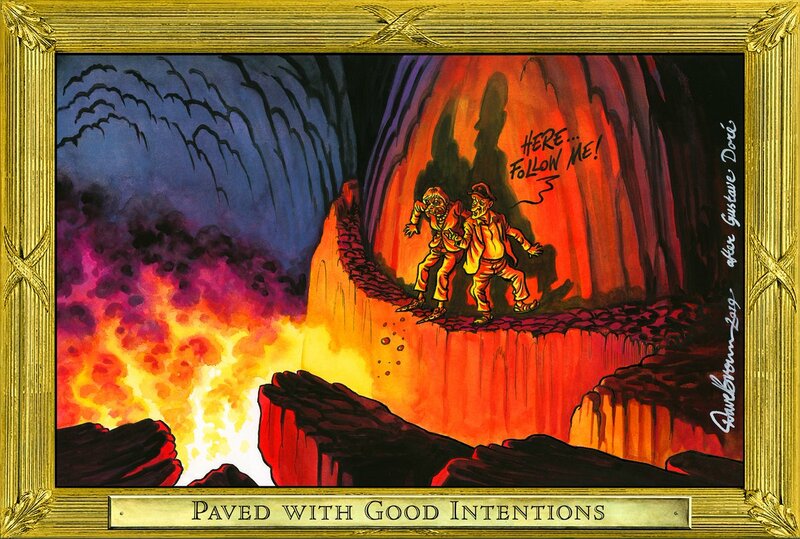 Dave Brown takes a dig at Labour Party leader Jeremy Corbyn’s offer to the British Prime Minister Theresa May to extend support for the second Brexit referendum if May agrees to his terms for joining a customs union. 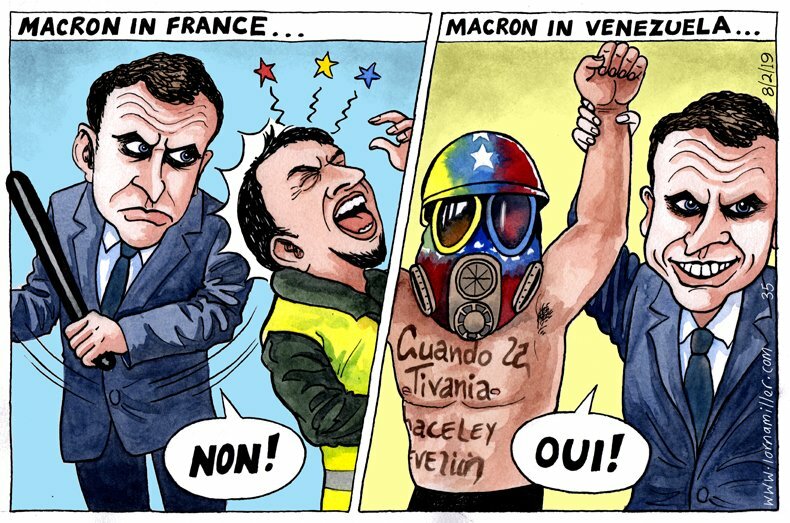 Lorna Miller takes a dig at French President Emmanuel Macron for his support to the opposition protests in Venezuela, under opposition leader Juan Guaido, while cracking down on Yellow Vests protesters, seeking economic reforms, in France.